¶ 1 Leave a comment on paragraph 1 0 In 2010, the Journal of Marriage and Family published its traditional “Decade in Review” issue. 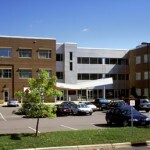 ¶ 2 Leave a comment on paragraph 2 0 In July 2010, the NCFR headquarters offices relocated to a more centralized location in Minneapolis that is more convenient to downtown, freeway access, and the lightrail line. It now shares a building with the regional American Red Cross chapter.